When it first appeared in 1979, Philosophy and the Mirror of Nature hit the philosophical world like a bombshell. In it, Richard Rorty argued that, beginning in the seventeenth century, philosophers developed an unhealthy obsession with the notion of representation: comparing the mind to a mirror that reflects reality. Rorty's book is a powerful critique of this imagery and the tradition of thought that it spawned. Today, the book remains a must-read and stands as a classic of twentieth-century philosophy. Its influence on the academy, both within philosophy and across a wide array of disciplines, continues unabated. This edition includes new essays by philosopher Michael Williams and literary scholar David Bromwich, as well as Rorty's previously unpublished essay "The Philosopher as Expert." Start reading Philosophy and the Mirror of Nature on your Kindle in under a minute. Praise for Princeton's original edition: "This is an ambitious and important book. Ambitious because it attempts to place the main concerns and discussions of contemporary philosophy within a historical perspective; important because this is all too rarely attempted within our present philosophical culture, and almost never done this well. --Charles Taylor "Times Literary Supplement "
Praise for Princeton's previous edition: "["Philosophy and the Mirror of Nature"] is . . . something of an event. . . . It is going to be a long time before a better book of its kind appears. --Alasdair MacIntyre "London Review of Books "
Praise for Princeton's original edition: ""Philosophy and the Mirror of Nature" brings to light the deep sense of crisis within the profession of academic philosophy. . . . Rorty's provocative and profound meditations impel philosophers to examine the problematic status of their discipline--only to discover that modern European philosophy has come to an end. --Cornel West "Union Seminary Quarterly Review "
Praise for Princetons original edition: "This is an ambitious and important book. Ambitious because it attempts to place the main concerns and discussions of contemporary philosophy within a historical perspective; important because this is all too rarely attempted within our present philosophical culture, and almost never done this well." --Charles Taylor, "Times Literary Supplement"
Praise for Princetons previous edition: "["Philosophy and the Mirror of Nature"] is . . . something of an event. . . . It is going to be a long time before a better book of its kind appears." --Alasdair MacIntyre, "London Review of Books"
Praise for Princetons original edition: ""Philosophy and the Mirror of Nature" brings to light the deep sense of crisis within the profession of academic philosophy. . . . Rortys provocative and profound meditations impel philosophers to examine the problematic status of their discipline--only to discover that modern European philosophy has come to an end." --Cornel West, "Union Seminary Quarterly Review"
Praise for Princeton's previous edition: "["Philosophy and the Mirror of Nature"] is . . . something of an event. . . . It is going to be a long time before a better book of its kind appears." --Alasdair MacIntyre, "London Review of Books"
Praise for Princeton's original edition: ""Philosophy and the Mirror of Nature" brings to light the deep sense of crisis within the profession of academic philosophy. . . . Rorty's provocative and profound meditations impel philosophers to examine the problematic status of their discipline--only to discover that modern European philosophy has come to an end." --Cornel West, "Union Seminary Quarterly Review"
When it first appeared in 1979, "Philosophy and the Mirror of Nature" hit the philosophical world like a bombshell. In it, Richard Rorty argued that, beginning in the seventeenth century, philosophers developed an unhealthy obsession with the notion of representation: comparing the mind to a mirror that reflects reality. Rorty's book is a powerful critique of this imagery and the tradition of thought that it spawned. Thirty years later, the book remains a must-read and stands as a classic of twentieth-century philosophy. Its influence on the academy, both within philosophy and across a wide array of disciplines, continues unabated. This edition includes new essays by philosopher Michael Williams and literary scholar David Bromwich, as well as Rorty's previously unpublished essay "The Philosopher as Expert". I've been perplexed and intrigued by this book while reading it off and on for many years. I'd suggest approaching Rorty through the collected essays published later, and the volume _Reading Rorty_ offers thoughtful perspectives from some of his best readers. His take on Derrida must be open to reconsideration, always will be. This book is as old as I am. Still, when I was first confronted with the problem of Richard Rorty in the late '90s, it was -- as one might guess from Rorty's position at that time as Philosopher Laureate, the most public face of a discipline which often shuns attention -- *au courant* enough to contribute an impetus and general casts of mind to the debate on many topics. By now the book is, like me, old enough to no longer be directly relevant to the livest currents of thought in analytic philosophy, and somewhat beside the point to Continentalists poring over Badiou and Agamben (neither of whom Rorty ever commented on directly, although one can guess he would not have been fond of the "fundamentalist" tone of some of their arguments). However, it is still relevant to understanding what philosophy has been and what it could be, perhaps even more so now that the dust has settled and we can historicize the inveterate historicist. Beginning as a student of ancient philosophy who had been taught by Richard McKeon and Leo Strauss, Rorty entered the consciousness of mainstream philosophy in the '60s with a bold new plan for understanding the operations of the mind: namely, that there was no such thing, no "mind" presenting an ahistorical problem for science and cultural inquiry, just a collection of tropes about personal awareness that did not militate for a "reifying" approach to psychology. This position -- called "eliminative materialism" and subsequently enthusiastically adopted by many bright young scholars working in the philosophy of psychology -- was a textbook example of "analytic" philosophy, that approach to philosophical research predominant in the English-speaking world, which places greater stress on clarity and rigor than historical learning and political import. But Rorty began to drift towards "Continental" thinkers, Europeans who doubted the possibility of a knock-down philosophical argument and who expected you to know your Plato (and much else) so well as to richly enjoy a series of punning plays on famous philosophical profundities. This book, written when Rorty was still relatively young, begins his journey in synthesizing the approaches of analytic and Continental philosophy, joining what Kant called the "school" and "cosmic" conceptions of philosophy, striving for both exactitude and relevance. As Rorty explains early on, the focus here is primarily on bold thinkers in the analytic camp, people like Willard van Orman Quine and Wilfrid Sellars who started dismantling key preconceptions of logically-minded philosophers not long after the paint had first dried on these "rational reconstructions" of concepts like knowledge and truth that we were *finally* getting to the bottom of -- after 2500 years of muddling through. 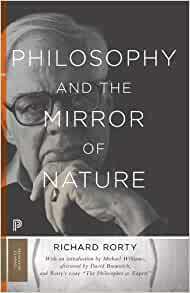 *Philosophy and the Mirror of Nature* takes the arguments of Sellars and Quine as exploding the idea that there is a timeless, ahistorical context for philosophical inquiry; drawing on the American Pragmatist tradition (which bulked very much larger in philosophical awareness after Rorty hit the scene), the author argues that what is called "philosophy" is really about what matters to us now, and that this might be very different than what was understandably important to a Kant or a Locke or an Aristotle. Along the way Rorty talks about almost everything that had happened in analytic philosophy up to 1979, and his glosses of more "foundationalist" thinkers like Putnam and Fodor are well worth the price of admission: you will get a very clear idea of just why something like the "computational theory of mind" perhaps ought to be allowed to go on its merry way, while the "causal theory of names" has to be waylaid -- one is a fruitful program in a young science, not particularly beholden to its supposed ontological commitments, while the other takes uncontroversial logical arguments and attempts to wring metaphysical conclusions from them. To historicize the historicizer (as mentioned above) Rorty is speaking from a particular viewpoint at the further reaches of "post-positivism" as it existed in the '60s and '70s, and much of what you will find in contemporary journals blithely ignores his complaints. But the arguments, though perhaps less relevant than they once were, are extremely crisply rendered and Rorty's prose highly rewarding. This "30th Anniversary Edition" avoids some of the mistakes made in preparing the anniversary edition of Quine's *Word and Object*: The themes of the attractive cover for the original and its readable typeface are maintained. Michael Williams, one of Rorty's most prominent students, draws attention in his Introduction to contemporary thinkers like Robert Brandom and Huw Price whose theses simply could not have existed without Rorty's example; David Bromwich provides a biographical Afterword which captures something of the subsequent importance of Rorty when he was nearly an American Sartre, combining philosophy and left-liberal politics in *The New Leader* and *The Nation* and drawing attention to discarded plans for "social hope" through his marvelous philosophico-cultural tract *Contingency, Irony and Solidarity*. If you already own the book, I don't think it's necessary to pick the new version up; but if you don't own the book, please acquire it. 5.0 out of 5 starsOne of the best books I have read. C pain and being in a new environment and math of new order and a lot of fun in asking you questions about what if? Struggle as a theme/ wouldn’t read this as a book but as a book within a book in chapters. The one that stands out to me at the moment is chapter 2 one thing is this “Truth is what your contemporaries let you get away with.” their is a truth to that in are current economy of education. That leads to this as the universe of a novel goes on “Freedom is the recognition of contingency.” Not just the ability to deal with mob rule to look at flaws and create solutions from them. Richard points out the future of immortality this way “My sense of the holy is bound up with the hope that some day my remote descendants will live in a global civilization in which love is pretty much the only law.” from a tribe to a leader of a culture which can be a country. Choice and learning from the language of god “...the conscious need of the strong poet [defined broadly as the creator of new metaphors]...to come to terms with the blind impress which chance has given him, to make a self for himself by redescribing that impress in terms which are, if only marginally, his own.” a subject to grow with a state of immortality. To continue without moral onslaught “What makes us moral beings is that...there are some acts we believe we ought to die rather than commit...But now suppose that one has in fact done one of the things one could not have imagined doing, and finds that one is still alive. At that point, one's choices are suicide, a life of bottomless self-disgust, and an attempt to live so as never to do such a thing again. Dewey recommends the third choice.” not only learning from mistakes but enhances yourself from them. 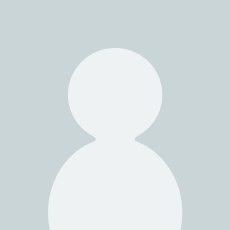 An alternative representation of ones own medium “The reason for thinking that there will be no 'last' philosophy is simply that no answer can fail to be an answer to a question, and no question can guarantee its own permanent relevance.” Why? “In my utopia, human solidarity would be seen not as a fact to be recognised by clearing away "prejudice" or burrowing down to previously hidden depths but, rather, as a goal to be achieved. It is to be achieved not by inquiry but by imagination, the imaginative ability to see strange people as fellow sufferers. Solidarity is not discovered by reflection but created. It is created by increasing our sensitivity to the particular details of the pain and humiliation of other, unfamiliar sorts of people. Such increased sensitivity makes it more difficult to marginalise people different from ourselves by thinking, "They do not feel as 'we' would," or "There must always be suffering, so why not let 'them' suffer?" Change as a model of a truth that works.” Without re creating history living from the present gives us life beyond theory. It’s a boon we have Richard and his book especially this one.